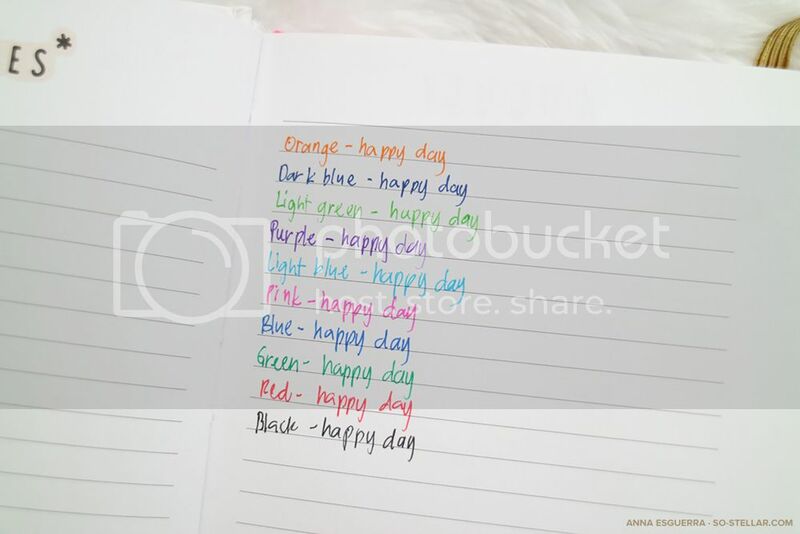 The Happy Day pens are popular amongst planner addicts out there. I first noticed these when I was browsing around Youtube and randomly landed in one vlog talking about her planner’s spread for a particular week. As I noticed these pens in several planner vlogs, I’ve come to really like them and eventually I began to want one for myself! Like, look at them, aren’t they so beautiful and pretty?!? 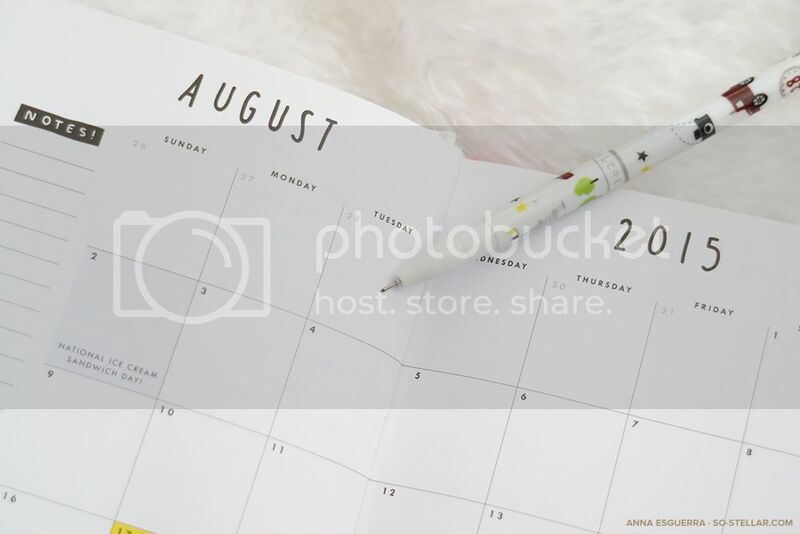 Around this time, I also realized that I have no chance to be anywhere as good as these people who have the ultimate patience and passion to decorate their planners. I tried for a while but I just don’t have enough passion I guess, and I lacked the materials to prettify~ my planner, too. I learned that you have to really invest in many materials. Meh. 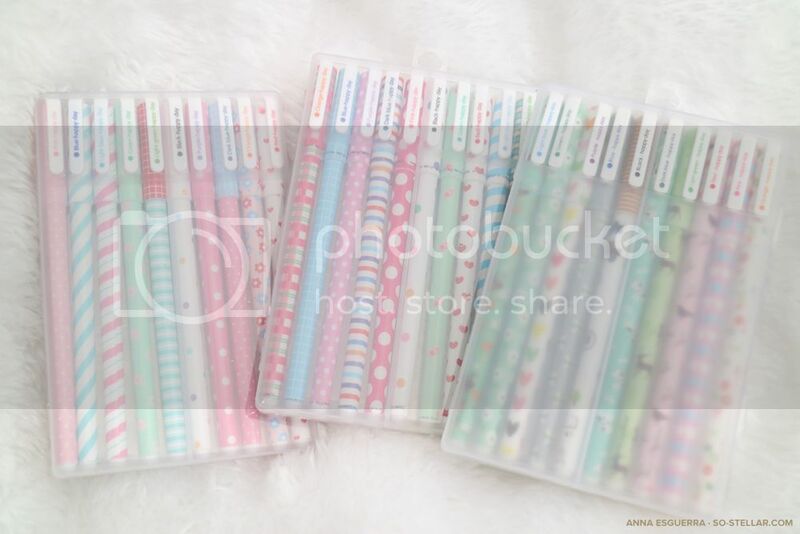 Washi tapes and pens are easy to acquire and collect. I thought I’d do this instead of stacking up on a planner essentials collection type of thing. I feel I wouldn’t have any use for them. But pens and paper tapes? They have more uses, especially non-planner related. 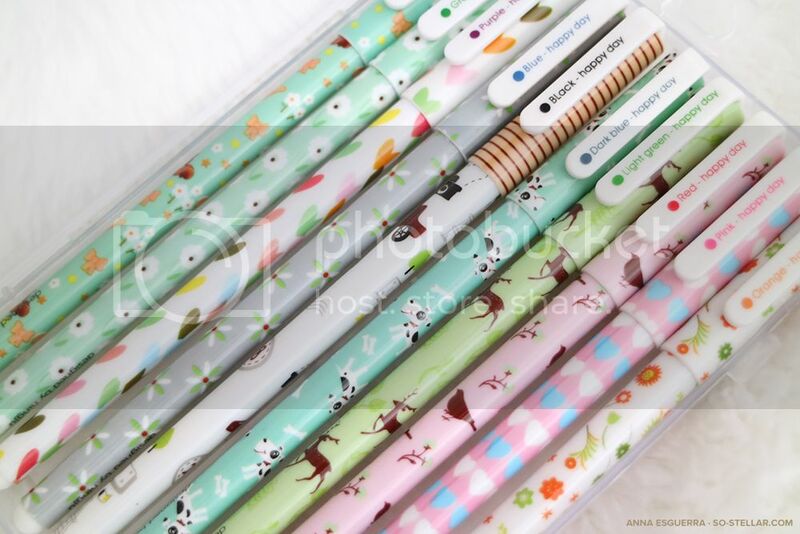 For a start, how do I get my hands on these pretty pens?! The problem at first is that I didn’t know what they were called, therefore I can’t do a search for local sellers of these pens. ‘Cute pens’? ‘Asian pens’? 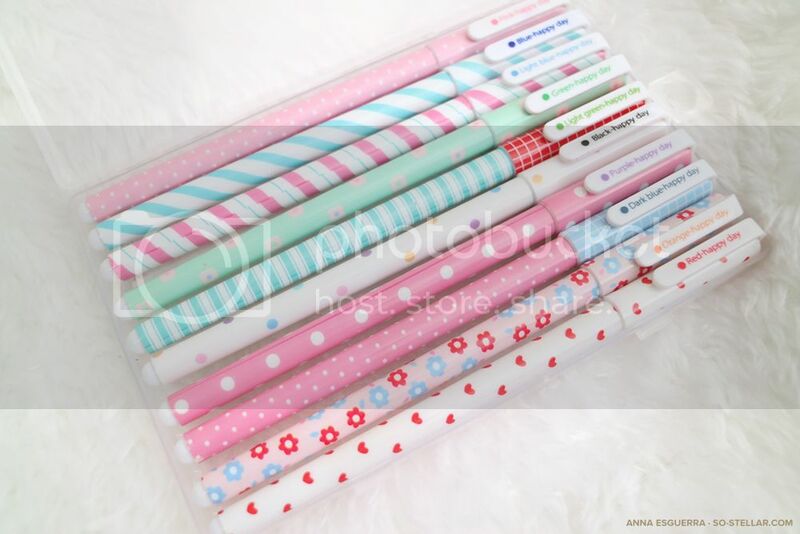 ‘Kawaii pens’? Lol? Because planner junkies use a lot of materials in designing their spreads, it’s not always specified where they get all of what they use. So for a few months in the past, I was in the dark about what those pens were called and where I can get them. If ever I do find out the name, it only stays in mind for a few days then I forget about it. 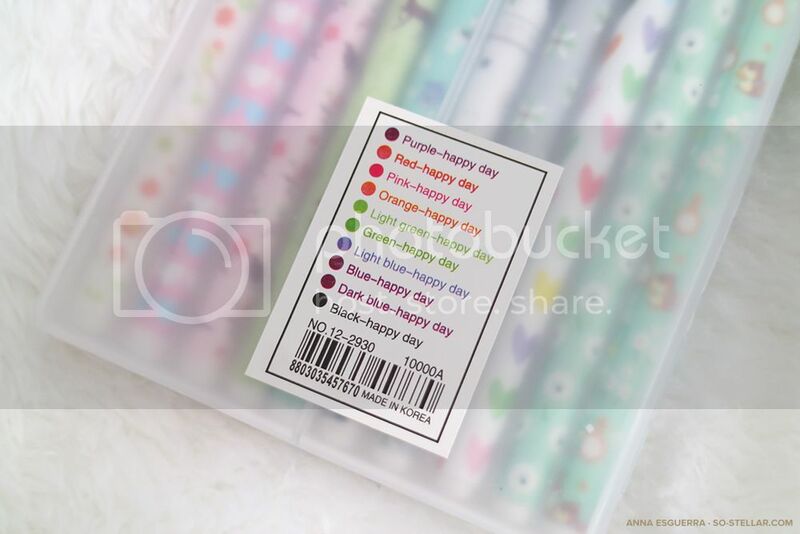 Not sure what hit me last week because the thought of ‘happy day pens’ suddenly came to mind and I thought of looking for photos of it on Instagram. No intentions on making a purchase or anything, I just wanted to see photos of it just because. That’s when I stumbled by a post of a local seller of these pens.. and for an affordable price! I remember seeing the same type of pens in a mall, for around 5 pcs in one set, but it costs more. Quick tip: Check your nearest SM malls stationery section inside the department store; some branches stock up on planner goodies and materials as well as Asian stationeries! 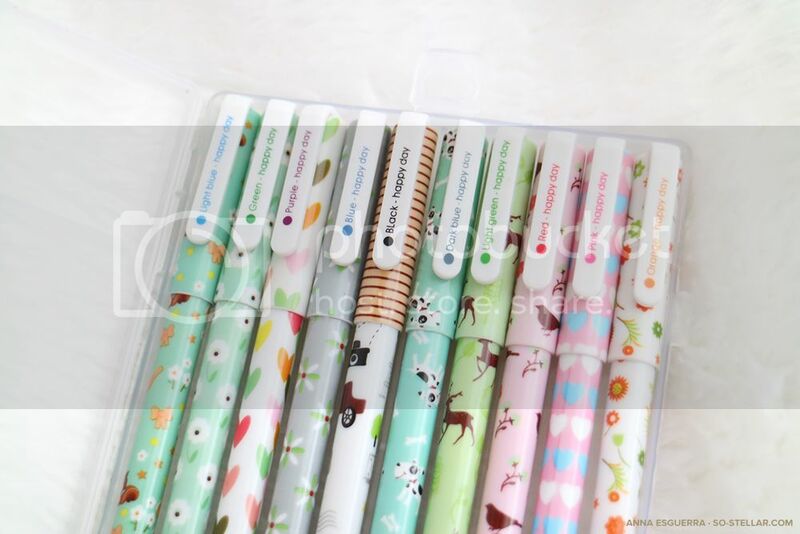 As for the Happy Day pens set I saw on this seller’s Instagram: I’m relieved that a brand new 10-piece pen set costs LESS from this seller compared to the mall price earlier. I thought twice if I should make this rather impulsive purchase because I already have plenty of pens here.. the current ones on my desk for easy accessibility when I need ‘em and the ones I’ve put away because I am a #stationeryhoarder. The pen point of Happy Day Pens is too thin at 0.38mm. I prefer pens with a 0.7mm tip for thicker-looking writing. I say you can never have too many pens! People will always look for pens and there will always be uses for it. I don’t think it’s going to be waste of a purchase. I love my Pilot FriXion pens, but the Happy Day Pens are too cute to pass, especially with that price tag. That was that. It was decided at that point that I shall make my purchase. I went ahead and contacted the seller to buy a couple of HDP sets from her. I paid in advance because I was that excited! I did not get the pens until a couple of days later. Funny coincidence: it turns out that the seller and I live in the same village, making us almost neighbors. To think that we’ve been having difficulty coordinating a meetup time and day because of conflicting schedules. In the end I requested if she could drop by our house instead and leave the items with the people there. Packaged nicely and securely in a craft DIY box, I opened it and I was greeted by these pretties! LOVE that they look adorable in reality. Yes I ordered three sets of pens. I told you I am a #stationeryhoarder. 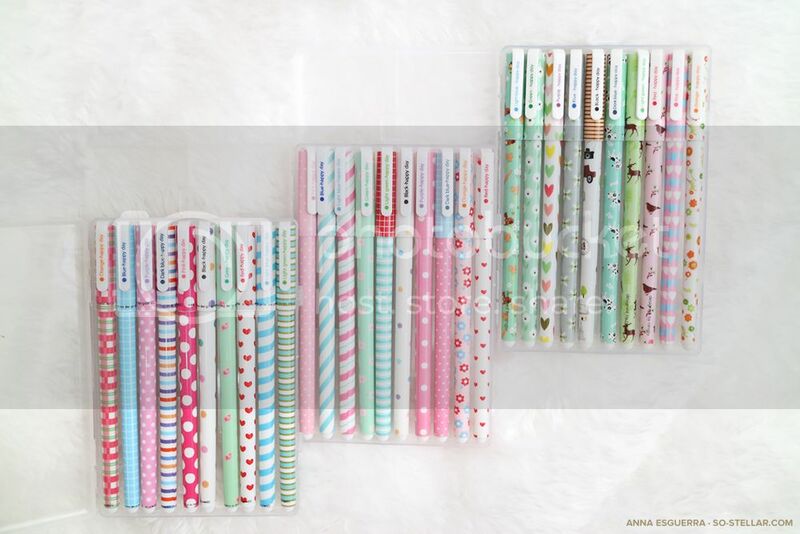 Mostly because I cannot ignore and not buy the other cute pen sets available! For almost $2 per set, I think that’s a steal already. Thank you, Mrs. P for a hassle-free transaction! Each 10-piece pen set comes with its own case too, which makes it convenient to take with you when you head out and bring this along. It doesn’t look and feel cheap. If you’re a planner on-the-go or need to bring some of your favorite pens on a trip, there’s no need to think which case to bring as they’ve already solved that problem for you. Each set has 10 pens in the case and each pen is a different color. It’s obvious these pens are aimed towards the artsy type because of the assortment of fun colors available to use. If you know me, you know I’m not a fan of pink but the pink of Happy Day Pens looks really nice in my opinion! Same with orange, light blue and purple. 😊 Okay, pink is slowly becoming a favorite.. as a pen color! Does the ink show/bleed through the paper? The paper I tested these pens on (my ban.do planner) didn’t exhibit very visible ink showing through on the back of the paper. I would guess it would show on thin or flimsy type of paper. Good for thick-ish paper! Does the ink skip when you write? It skips randomly and I am a little sad that it does that. Check out the light green writing in the swatch. Also when I’ve been writing for too long, ink starts to skip and disappear. It takes a forceful shake to get it working again though. Maybe it’s because I write fast and madiin and I feel my penmanship is too big for this type of pen? I feel that it has to be used with care and you have to write as slow and as small as you can lol. Ink skipping is really annoying though. Anyone else agree? I hate it when ink skips and you’ve started to write in really decent and pretty penmanship. What type of ink does it use, is it refillable? Are there refills available? It uses ink gel and I doubt there are refills available. This is also a 0.38mm pen, maybe you wanna take note of that. I believe there are 0.38mm refills out there, MAYBE they’ll work with this pen canister, too? Does the ink run or dry out pretty quickly? Not sure how long they’ll last but I don’t use them that often, nor do I write as long as how I write my blog posts. However, the ink it uses is gel type. I think by default, ink gels finish quickly than ball point ink. I haven’t encountered gel pens drying out before, so I don’t think this will dry out quickly if left uncapped. As I’ve mentioned previously, I purchased three sets of Happy Day Pens from the IG seller. Here are closeups of the designs of the pen sets. I’m not sure how many more are out there, but the seller had 6 sets for sale. I purchased these three because they were the most cute-looking for me.. haha. The others aren’t as dainty-looking. Honestly, I thought the first two reminded me of candies and lollipops. And that for a second while I was browsing, they seemed edible. Ok that was a weird random thing to say, lol. Moving on. A worthy purchase for its price tag. 10 pens for $2? I’m sold. Elsewhere online, especially in other countries, these pens seem to cost more. Fingers crossed they last long though! Pen tip is too thin. As I’ve mentioned, I like pens with thick tip more. That it’s not a click pen type of pen. If at some point the cap of any of these pens goes missing, the whole thing is ruined for me lol. Click pens are also more convenient and easier to store when not in use – more importantly, no caps that will suddenly go missing. That the ink is probably not refillable when it runs out. It will take me a long time before I finish all of these pens so for now I do not think I will repurchase, but I sure do love them and I look forward to using them as much as I can to jot down notes and memories down in my journals. 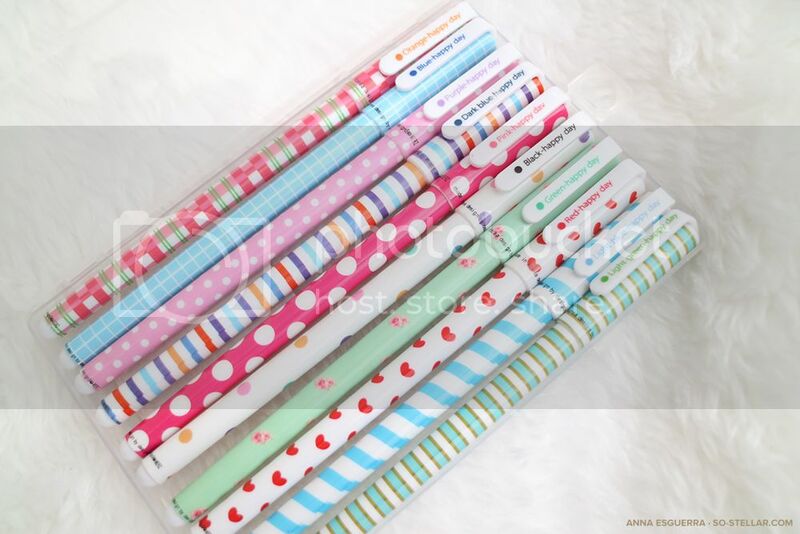 If you wanna purchase Happy Day Pens, I recommend purchasing from the seller Mrs. P on Instagram if you are within the Philippines. Quick transaction and she is easy to talk and do business with. Awww. Mrs. P! She’s a very nice seller. I bought some washi tapes and a paper cutter from her shop once. 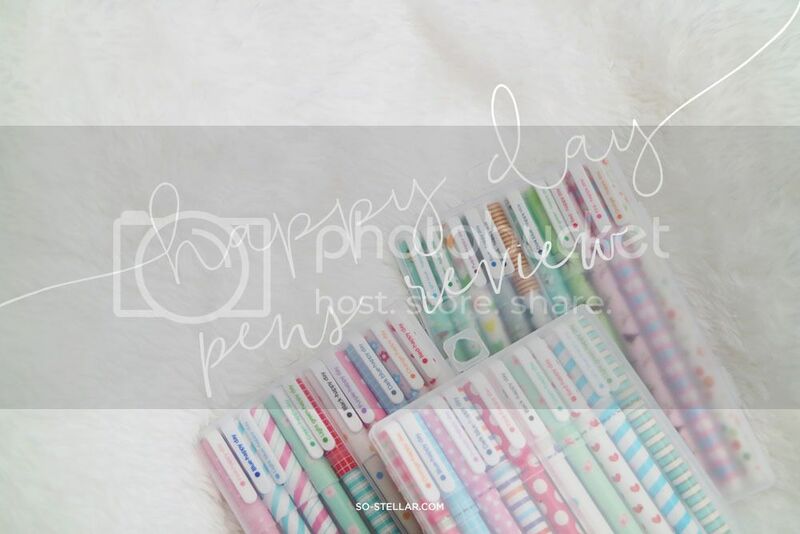 😊 I’ve been wanting to buy a set of Happy Day pens recently because I was sent two of them in separate planner kits by Paponei’s Gifts and it got me really curious. I loved it the minute I tried it although like, you I prefer thicker pens (whether it be the pen itself, or the tip). So I guess I have to contemplate more before I actually purchase. But thanks for this Anna, this helped a lot! Glad to help! 😊 And high five to preferring thicker pens, too! These are so cute!! But i’m going to restrain myself because I have too many pens already 😐 I currently have dong a gel pens but they are not as vibrant as these. Some of my gel pens dont show up when i try to us it on my journal, although I dont use them that often since when I write i tend to just use one pen! lol i get too lost sometimes that I forget that i was planning to make it all colorful and pretty 😀 I’ll maybe consider this brand if i ever decide to buy a new set. Thanks for sharing! I love colorful and fancy pens! I used to collect glittery gel pens but I stopped because I hate writing–plusI have really bad handwriting, lol!